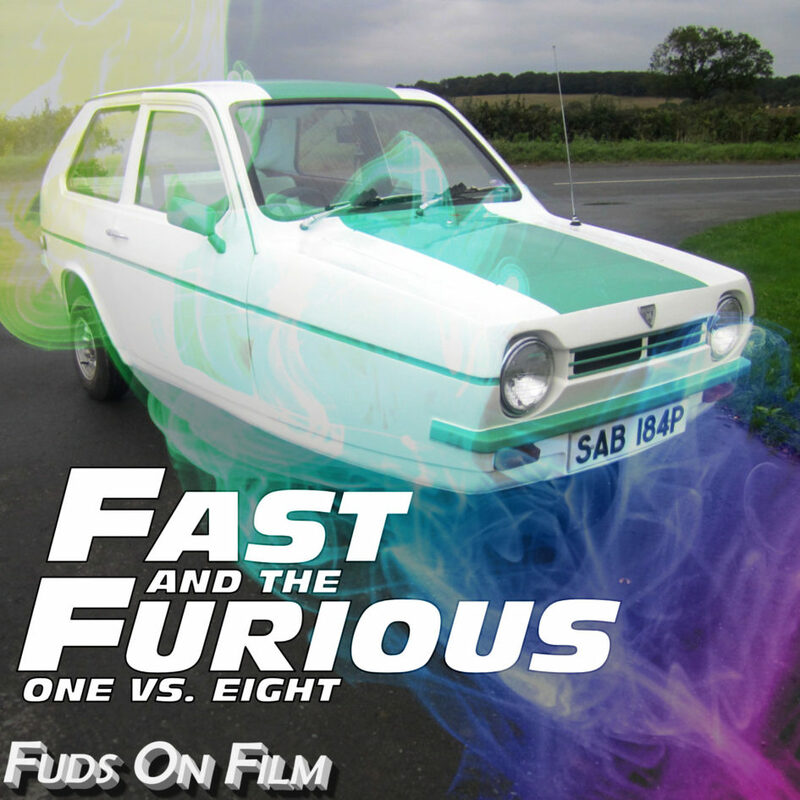 With the latest instalment of The Fast and the Furious skidding onto the home formats and a release date apparently confirmed for the spin-off, we thought we’d compare it to the first of the series and chart the road between these markedly different films from the bafflingly popular franchise. Once upon a time there was an aggressive, angry, man called Dominic. Dominic lived in Los Angeles, where he had a rivalry with his enemies; the angry Johnny Tran and the angry Lance. He spent time with his angry girlfriend Letty, his angry friend Vince, his twitchy friend Jesse, and his friend Leon, who had a beard. He also had a sister, Mia (who was kind and gentle and NOT angry, so she was probably adopted, or an oversight in the script). Dominic divided his time between his car workshop, illegal street-racing, and ambitious, mobile, truck heists. The Los Angeles Police Department thought that this last activity was very naughty indeed, so they arranged for one of their officers to pose as a street racer in order to get close to Dominic and prove his guilt. This officer’s name was Brian, and he had blond hair and could smile. See Brian drive. Drive, Brian, drive. Clever Brian. Brian falls in love with Mia, and Mia falls in love with Brian, because he has hair and can smile. This makes it difficult for Brian to be a Police Officer because he does not want to arrest his girlfriend’s brother, and it’s only grand larceny, hijacking and assault, after all. See Brian fail in the execution of his duty. Bad Brian. Brian and Mia come to Dominic’s rescue when his latest naughty heist goes badly wrong, and everybody finds out that Brian is a Police Officer, after which there are SCENES. The animosity between Dominic and Brian is settled by the time-honoured legal instrument of a drag race. See Brian drive. See Brian drive faster than the angry man. Well done, Brian. It’s difficult to believe that this relatively small, though, actually, reasonably entertaining, film would go on to spawn 7 sequels (and counting), and become a money-spinning box office behemoth. The Fast and the Furious is populated by almost universally terrible actors playing characters with a single emotion each. If you put all of the characters in the film together, you could create a gestalt character with a whole three, maybe even four, emotions, two of which would be anger and aggression. But, as I said a few moments ago, the first film in the series is reasonably entertaining and, particularly in comparison with where the franchise has gone, is relatively grounded and realistic. There is illegal street racing (absolutely a thing), skilled drivers using their talents to commit a daring crime (an actual thing), and an undercover police officer attempting to investigate a crime (obviously a thing). There is not, for instance, a prolonged chase scene on ice with a Lamborghini and a nuclear submarine (not a thing). While the plot is fairly solid, the characterisation is so thin as to be non-existent: Brian is a cop. Dominic is a good, bad man. Or maybe a bad, good man. Letty is angry. And you could argue that in a film like this that character doesn’t matter much, the action scenes do, but you have to give the audience reason to care about what a character does in an action scene, which is much more difficult when the character doesn’t, in fact, have any. Because Mia and Letty are FAMILY they are afforded more respect, but in general women are treated pretty lasciviously in The Fast and the Furious, a trend which worsens as the series goes on. Still, the driving scenes are well-enough handled – the motorway heists in particular are fun, with the skill of real drivers on display – and a serviceable, if unremarkable, story links things together in a competent enough fashion. And there is the aforementioned nuclear submarines, conspicuous here by their absence. Watchable, throwaway entertainment. I have sod all idea why there are 7 more, though. So, Dom’s off on his honeymoon to Cuba with Letty after the conclusion of all that nonsense at the end, middle and beginning of FF7, but only has time to fit in one silly race sequence before being approached by a mysterious operative we’ll soon know as Cipher (Charlize Theron). Despite the marketing material trying to claim she seduces him into following her evil whims, it’s obvious from the get go that Dom’s being blackmailed into helping her with her plans. And what plans they are, starting off with the heist of an EMP, itself confusingly already heisted by some random other party, leading to Hobbs (Dwayne Johnson) being called on to countersteal it in an off the books black op. Calling on Dom and his team, those being Letty, Roman (Tyrese Gibson), Tej (Ludacris) and Ramsey (Nathalie Emmanuel), the latter two being the team’s dualling hackers, because the one thing this film series needed was more redundant characters. Dom double crosses the team, leaving Hobbs to be thrown in a German jail alongside old enemy and Bladerunner Deckard (Jason Statham), leading to jibes aplenty. It doesn’t stay like that for long, as G-man-in-black Mr. Nobody (Kurt Russell) arranges a prison break for Hobbs and Deckard under the condition that they team up with the remants of Dom’s family to hunt down thier former leader. A former leader who is now assaulting Russian defense secretaries along with a flotilla of hacked self-driving cars, because in this film computer hacking is essentially magic, and Cipher makes Merlin look like a two bit three card Monte hustler. Before too long we’re concerned with stopping the hijack of a nuclear submarine from a Russian base – again, we’re told a base that’s been taken over by a group of ultranationalists without the Russian government caring to do anything about it, because of reasons. The current Russian administration of course being notoriously lenient and forgiving of this sort of thing. In a nutshell, it’s the by now usual chain of increasingly silly motor-based action set-pieces, with Dom and Cipher being a half step in front of Hobbs, Deckard and crew, waiting for the moment when the tables can be turned on Cipher and her crew of heavies led by GoT’s Kristofer Hivju, and we find out what caused Dom to agree to all this heistery. What is the only thing more important than family? Spoiler: it is family. There’s sections of FF8 that I actually rather enjoyed, which gives it a substantial leg up on FF7. Tellingly, these are almost entirely limited to when The Rock and Jason Statham are bouncing off each other like two slabs of sentient muscle that have learned to wisecrack. I will happily watch the hell out of a spin-off series of these two having zany hijinks with Statham’s dear old ma Helen Mirren in the background. The rest of the film, however, is a dumpster fire. I was sort of onboard with that opening drag race as being a much needed return to the roots of the series, but it’s as good a distillation of the series arc as a whole, going from a fun bit of driving into an increasingly daft set of stunts, ending in a flaming wreck that must be driven into the sea. It’s increasingly clear that this franchise needs to get rid of Dom’s team, even if we must be lumbered with Vincent Diesel himself. I don’t even mind Vin Diesel all that much, but the franchise has changed markedly and Diesel and co haven’t come along for the ride. I’m overjoyed to see The Rock cutting loose and Statham Hard Boiling his way out of an aeroplane, shooting goons and gurning at a baby. That fits the bombastic nature of the beast that this has become. But Mumbly Joe dribbling on about family to a team of underwritten also rans by this point needs to be jettisoned. Again, I’m not even particularly offended by any of them, there’s just not enough screen time to have many them do anything meaningful. You don’t need a comic relief character if everyone cracks jokes. You don’t need two hackers. You don’t need Scott Eastwood’s Junior G-Man at all. Theron’s Cipher, sadly looking to be a returning nemesis for the series, is also badly underwritten, and could really have used some of the ultimately wasted screen-time Dom’s team consume. She’s written as some sort of Bond villain, but without any motivations or reasoning. Now, by no means did all Bond villains get more than a vague, cursory backstory or reason for their schemes, if that, but the memorable ones tended to. I have no idea why Cipher’s doing anything that she’s doing, and some vague reference to putting world Governments “on notice” hardly counts. As a result, I care not a jot for her or her largely faceless crew. Look, overall I enjoyed this more than the last few installments, and I don’t mind that these are being made and are successful in the way that Craig seems to take it as a personal insult. Frankly, I’m even okay with them doubling down on the silly side of things. I’d just tired of being asked to care about Vin Diesel and his family, when they’re by far the least compelling thing in their own films. Good start, good end, dragging hugely in the middle. C’est la vie. If you’ve been affected by any of the issues discussed today, please hit us up on Twitter (@fudsonfilm), on Facebook (facebook.com/fudsonfilm), or email us at podcast@fudsonfilm.com. If you want to receive our podcast on a regular basis, please add our feed to your podcasting software of choice, or subscribe on iTunes. If you could see your way clear to leaving a review on iTunes, we’d be eternally grateful, but we won’t blame you if you don’t. We’ll be back with you on the 20th with some more film-based dribblings, but until then, take care of yourself, and each other.